boise ID, leading mobile/in shop car detailing company. we can detail it all...cars,trucks,boats, RV, planes. With years of experience, we have created a car detailing company that is pushing auto detail to a new level . By combining passion with industry knowledge, we deliver an experience that you won't find anywhere else. 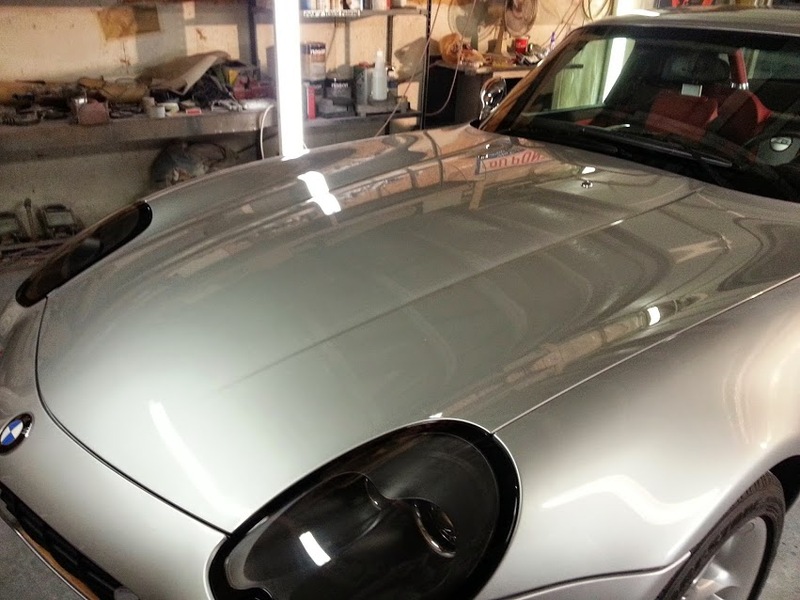 "Indepth Detailing has a very flexible schedule. They are willing to do whatever they need to do to get their schedules aligned with their customers. He does the work at your location so you don't even have to go anywhere. They are very knowledgeable and they know how to do what they do. The car looked great. It was just awesome." Indepth detailing is the highest rated detailing company in the United States. Sounds crazy, right? Ranked by the number of 5 star google reviews, no other detailer in the US beats out Boise's very own Indepth. We take pride in satisfying our customers; there's no better reward than when the car is dialed in and the client is smiling. So what does Indepth do differently, and how did we get to where we are today? We follow a three part business model to bring the very best detailing experience to you, the customer. 1. Work Ethic: Detailing is 25% skill, 75% elbow grease ( Well, we try to clean out the grease). We believe there's no substitution for hard work, and will stop at nothing to bring you the results you and your car deserve. Our team consists of career detailers who really just love to detail. Find us working late on a Friday night to get the job just right. 3. Price: Luxury results at affordable prices. We aren't driven by profit, we're driven by results. From every level of the detailing process, we are focused on bringing you the best auto care at a price point that wont break the bank. Take for example, our proprietary ceramic coatings. We save money on overhead by buying direct from the supplier, and then pass 100% of those savings on to you. Not many businesses out there can say the same! At indepth, we treat you as an individual and a friend, not a number. We believe in making the parking lots and roadways of Boise beautiful, one car at a time! Our motto is " treat customers as a friend not as dollar signs "
,We love working on all kinds of vehicles, from the humble sedan to the stellar sports car. All of our services and products are created in house by our team and we currently have over 150 five star customer reviews to our name. ​We love to detail ! !